Winter is here and it's time to get outside and enjoy it! We at Ayre & Oxford love winter in Edmonton, because there's so much to do. Tobogganing isn't just for kids! Here in Edmonton the whole family can sail down the snow-covered hills. 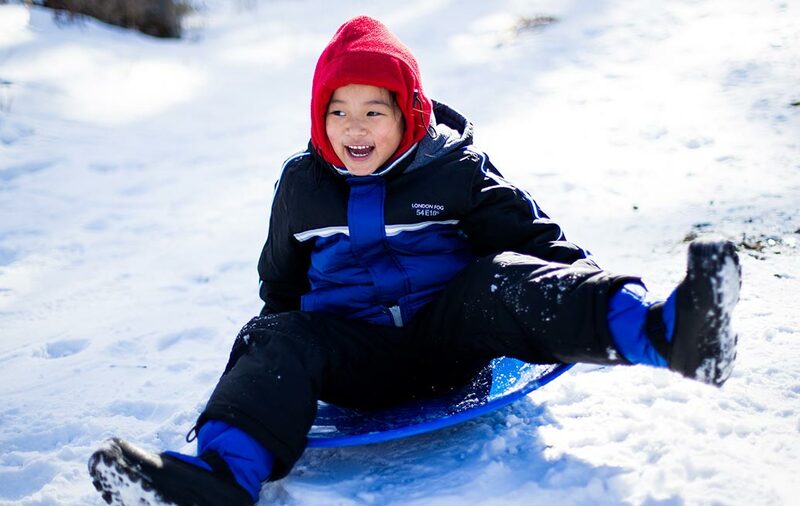 Our South-Central Edmonton residents will love the easy access to Emily Murphy Park's steep tobogganing hill. Gallagher Park, just minutes from our Strathcona buildings, sports a variety of hills from an impressive steep hill to the smaller sloped hills perfect for young riders. Rundle Park is another great tobogganing hill with a clearly outlined sledding area and a parking lot right in front of the hill. Explore Victoria Park on a pair of skates! The IceWay is back this year and perfect for family fun or a romantic date night just minutes from our downtown and South-Central buildings. The IceWay has expanded this year to Rundle Park. There are over 2km in trails, plus a shinny pond and a smaller rink for families. There's also picnic shelters, benches, and warming stations available. Winter wouldn't be the same without a trip to the ski hill! Here in Edmonton you can visit the Snow Valley Ski Hill or Sunridge Ski Area for great downhill experience. Both locations offer skiing and snowboarding lessons, but if you're looking for something low-impact, try snowshoeing! Snowshoeing is a fun winter activity that is quick to pick up and something anyone can enjoy. Terwillegar Park is the perfect place in the city to explore on a set of snowshoes. The Ice Castles in Hawrelak Park are a sight to see! Opening late December, the Ice Castles are a magical place the whole family can visit. Pre-purchasing tickets online will save you money and guarantee your entrance time. Once inside the ice castles, enjoy the slides, stunning waterfall, winding ice maze, and breathtaking beauty for as long as you like! There are even warming huts to warm you up along the way. Edmonton is full of great outdoor activities for everyone to enjoy! If you're looking to move to this vibrant city, check out our Edmonton availabilities to help you get started.